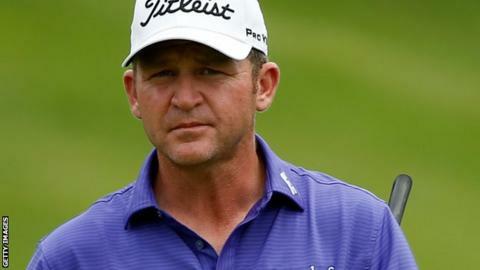 American two-time PGA Tour winner Jason Bohn has suffered a heart attack at the age of 42 during the Honda Classic in Florida. Bohn, ranked world number 71, had chest pains following the second round and called for a medic. "He was taken by ambulance to Palm Beach Gardens Medical Center, where tests revealed a mild heart attack," a PGA Tour statement said. "Jason is resting comfortably and in good spirits," his agent added. "He is scheduled to have more tests this weekend," Justin Richmond said. "We know he appreciates the concern from so many people in the PGA Tour family who have reached out." The PGA Tour statement added Bohn's wife was at "home in Atlanta but his in-laws joined him at the hospital, as did fellow player George McNeill, who said Bohn was in good spirits". Bohn carded 72 in the second round, which would have seen him make the cut at the PGA National. Saturday's third round proceeded without Bohn, and finished with Spain's Sergio Garcia and Australia's Adam Scott sharing a commanding four-shot lead over America's Blayne Barber. Northern Ireland's Rory McIlroy missed the cut for a second year.